I can hardly believe it, but the first six months of 2013 have already come and gone. It seems like I was sitting down to think up my new year's goals just yesterday. So now that we're at the halfway point, I think it's time to revisit the goals I made on January 1 and conduct a proper self-assessment. My number one goal for this year is to reach my goal weight. I'm 5'6". For my height, the highest weight that is still considered "normal" on the BMI chart is 155. 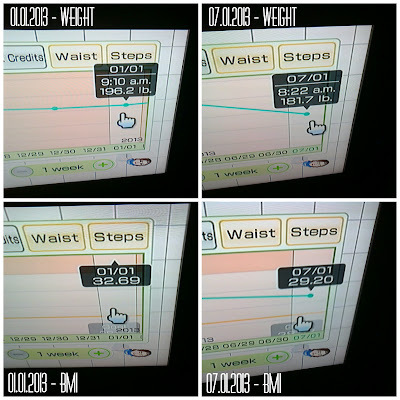 Every three months, I do a quarterly measurement update with a tape measure to monitor inches and an extra weigh-in. I did that today. 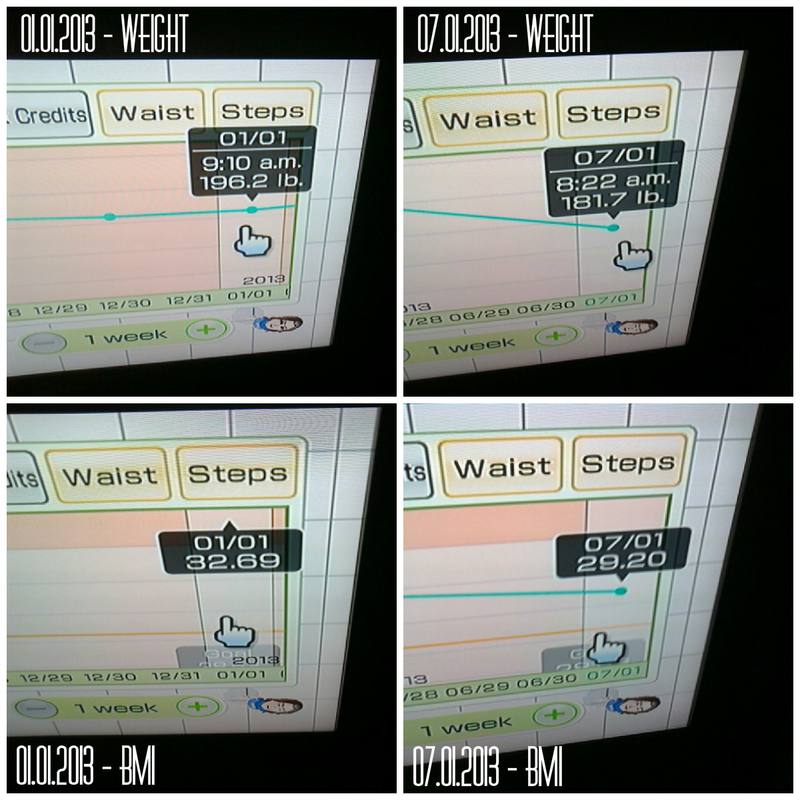 Here's how my weight and BMI have changed since January 1, 2013. 181.7. I lost another 1.3 pounds since my Friday weigh-in!!! Yay! So this year, I've lost a total of 14 pounds and 9 inches. I'm not exactly where I thought I would be in July, but that's some obvious progress. And now, I'm now only 26 pounds away from my goal weight! If I persevere, I can absolutely get there by December 31! I've done these first six, and today, I begin #7. I may have gone slightly crazy, but I've decided to make July The Month of No Fear. What exactly does this entail? 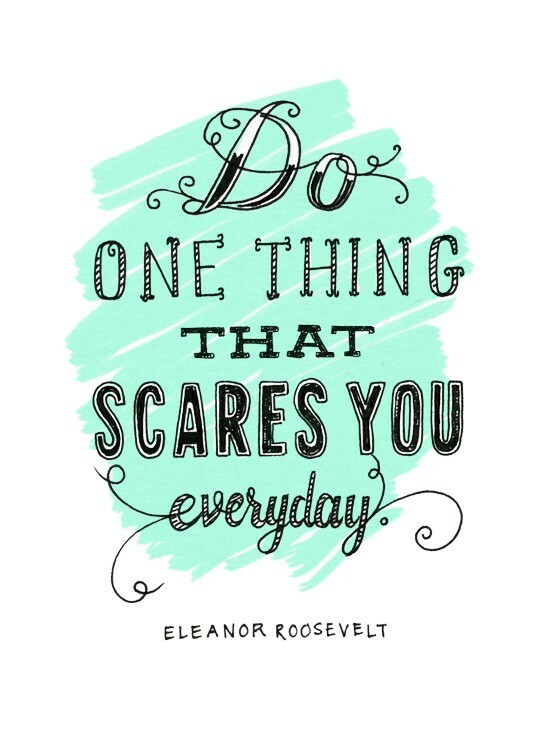 Like the Eleanor Roosevelt quote, I have to do one thing that scares me or makes me uncomfortable every day. Most of these things will likely include social interaction/human contact. That is my biggest problem. And it's holding me back so much in life! One of my goals for 2013 is to do something social every week, and lately I've been counting the small talk I make with the cashier at Publix... I just really need help here. I want to meet new people, make friends, make new connections. I pretty much live in fear of failure. I'm a perfectionist. I'm a worrier, big time. I've let my own fears and anxieties ruin countless opportunities I've been given over the years. That's why this idea intrigues me so much. Living without fear...the boldness of it. The things you could accomplish. I think this really goes along with the whole message of my blog. Life is For Living. Stop making excuses, stop being too scared, just get out and live life. The Month of No Fear doesn't mean I won't have fear. 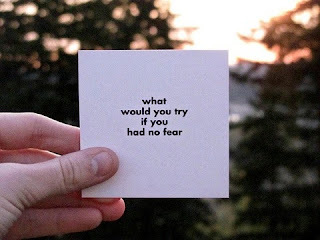 I will definitely experience fear. The point is for me to act in spite of the fear. I'll be sharing some of my experiences on here soon. I hope some of you will be inspired to step outside of your own comfort zones along with me this month! Are there any goals you have for July that you'd like to share? Yahhooooo! You are doing soo good! I think July will definitely help you to grow. I'm excited for you. I hope I will conquer a few fears this month too!